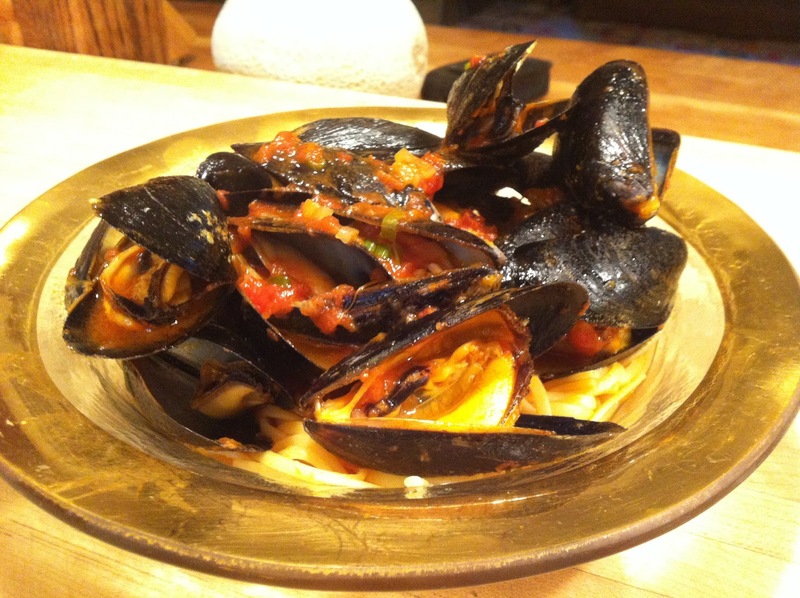 One of my favorite summer dishes, Mussels Marinara doesn’t take much more to prepare than steaming the mussels. Start by sautéing a chopped shallot and a couple cloves of garlic in a little bit of olive oil. Add a small bottle of clam juice, clam stock, or white wine to the pot and bring to a boil. Add the mussels and cover until they open, then cook for an additional two minutes. If you’re going to serve over pasta add a full jar of your favorite marinara sauce, half a jar if not, then toss a bit, turn the heat down to medium, and replace the cover. You should be ready to go in less than five minutes. Sprinkle some chopped parsley, scallion greens, or chives over the top when serving. And make sure you load up those bowls with lots of sauce whether for the noodles or a fresh baguette.